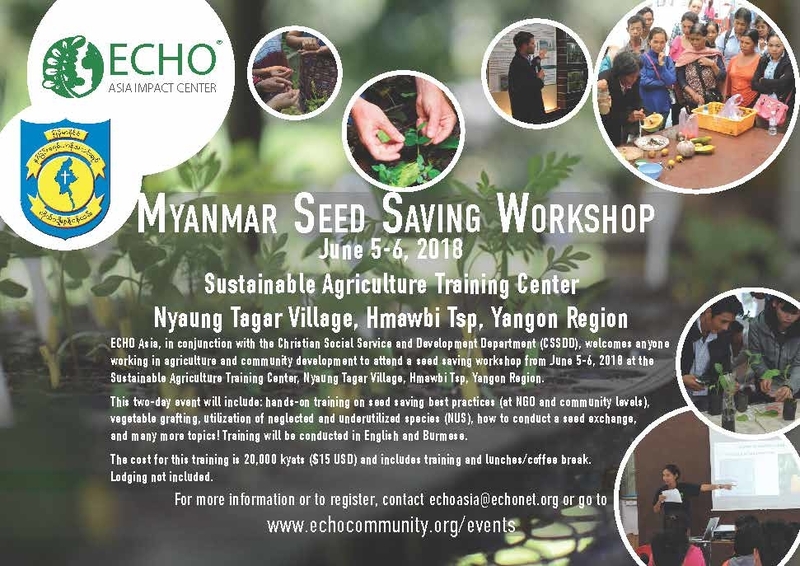 ECHO Asia, in conjunction with the Christian Social Service and Development Department (CSSDD), welcomes anyone working in agriculture and community development to attend a seed saving workshop from June 5-6, 2018 at the Sustainable Agriculture Training Center, Nyaung Tagar Village, Hmawbi Tsp, Yangon Region. This two-day event will include: hands-on training on seed saving best practices (at NGO and community levels), vegetable grafting, utilization of neglected and underutilized species (NUS), how to conduct a seed exchange, and many more topics! Training will be conducted in English and Burmese. 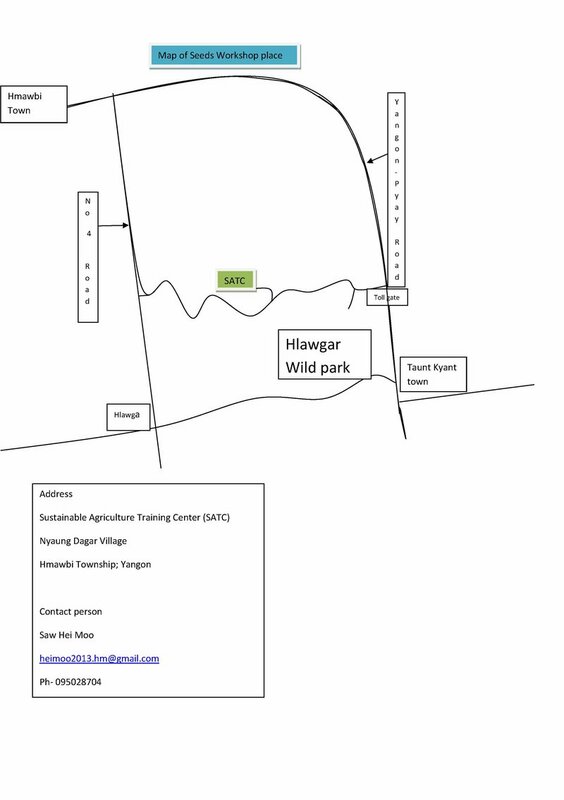 Please click on and print this map that will direct you to the Sustainable Agriculture Training Center. The cost for this training is 20,000 kyats ($15 USD) and includes training and lunches/coffee break. Lodging is not included. If you need help to book lodging, please contact Saw Hei Moo (heimoo2013.hm@gmail.com) at least one week ahead of the workshop. We suggest you stay in Yangon city and travel out to the training center each day. Lunches and coffee breaks are included in your registration.